I Feel For You: Chakras, Synthesia and Energy | How Kaycee got her Flow Back. I did a Chakra Yoga Class. Since I feel that we are beings of energy, I feel it is important to make sure that our energy is positively flowing. It is so easy to become bogged down or “tainted” in this world. (Tainted as in carrying around negativity, especially when that negativity is turned inwards. It doesn’t do the soul or body good.) When your perception is pointed towards the negative, you tend to miss out on all the good stuff. And there really is so much good stuff. Not only that, but there really are physical repercussions that take place. The body is tired. Depression. Chronic ailments that affect the joints, digestive system, so on and so forth. I think when there is an awareness to when your being is closed off to a certain aspect of the mind and body, a shift occurs. . .and it just makes dealing with things a tad bit easier. A sort of acceptance maybe? Or plan of action to be put in place? (depending on the circumstance) As someone who suffers from depression I totally notice how different and off my body feels when I am in the midst of a low point compared to how it would feel during a “normal” point. So as of late, I like to try and be more in tune with “Me”. 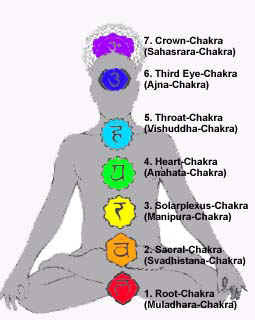 During the class the instructor went over the different chakra points and the attributes associated with each center. We would meditate for a few minutes and then go into a few yoga poses that are specifically aimed at opening up those centers. For the last year? Or so, I have been having trouble with my root chakra. 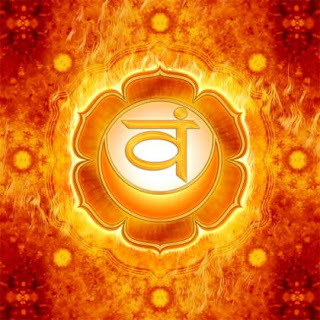 The root chakra is at the base of your spine. It is the chakra associated with the color red, the element of Earth and the sense of smell. It’s also associated with the adrenals, legs, feet, bones, large intestine and teeth. Pretty much your root chakra is your feeling of having the right to be here, the right to have and security. When your root is all off it can lead to weight gain, constipation, sciatica, degenerative arthritis and knee problems. Since it is associated with the bones, and I have this genetic bone disorder, there is not much I can really do about that now is there? That was the one part I don’t get. That is something beyond my control, and if you ask me, no amount of meditating on the word LAM is gonna fix it. However, looking back, there was a lot of upheaval in my personal life (as in love life) and that whole decision on if I should move to my new place. There was also that whole debacle with being let go from my job, to being called back, to being not sure how long this new company that took over would keep me on. So, lot’s of un-stableness. My depression was a lot more noticeable. (To me at least.) I wasn’t exactly a content person. I was dealing with a lot insecurities. When we did the root, I could feel a buzzing red orb of fiery vibrating color sitting with in that energy location. What really got me was that at the end of the section after we did the yoga moves, we closed our eyes and repeated the word “Lam” 4 times. I swear that as soon as I shut my eyes and repeated that word, I saw . . . I mean actually SAW the color red. Now, I can argue that the reason I saw the color red is because when you close your eyes, they roll back into your head and it’s possible that you are able to see the redness of whatever membrane is back there. It is also possible that it could have also been part of suggestion. My mind flashing that intense color of red because after all, we were just focusing on it. So when I hear a number, or a name, I will see a color. The thing is, it’s not always the same color. So even though I will tell you today that Tuesday is blue. . . a week from now I could be telling you that it is a celadon color with drops of pink. Also, when people touch me, I will see colors. Depending on the intensity of the touch depends on the vividness of the color. Again, it is not very strong. My colors are muted half the time. . . maybe not muted, but definitely faint. Also depending on what mood I am in, and how tuned in I am with my senses will also encourage the intensity and brightness of the color. Anyways, where am I going with this? Uhh, yes, the last possibility of my Red vision could be my synthesia. However, as the class progressed, I noticed with just about every chakra, I could see the color grow behind my eye lids. . . or one could even say. . Mind’s eye. My Sacral Chakra is very weak. And I am not surprised. This chakra has to do with desire, sexuality and pleasure. And well.. . .I know what my block for this one is. I also felt my Heart Chakra the most. Or I should say, that seems to be the one that is lingering for some reason. 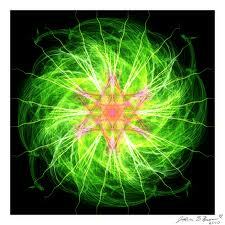 My heart chakra is actually in a very good place. Yet it’s energy seems to perforating the most. It feels as though I am just “beaming” this energy out of me. We were given a test to take home to see which areas needed the most work. Most of my numbers were pretty consistent (except my Sacral.) so I feel pretty good and balanced. If anyone is interested in checking their Chakras, I have included a link where you can go through a questionnaire that helps determined where you are blocked and so on and so forth. Even if you don’t buy into all of this, it’s still kind of fun. My old therapist and I did some chakra energy work from time to time, and it was sort of weirdly cool how much progress we could make in a short time using those modalities. I do think there’s something to it, depending on the person. Glad you got something out of it!